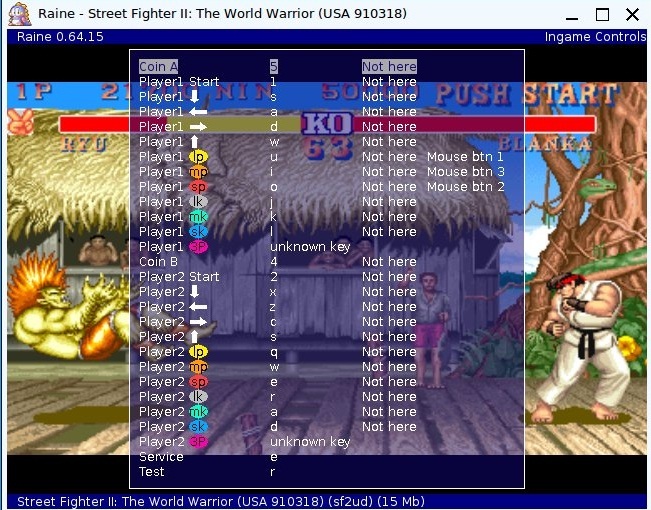 It's an old raine, there was a bug related to sf2 inputs fixed in 0.64.15, so use 0.64.15 ! I have updated the linux binaries not too long ago so it shouldn't be a problem. 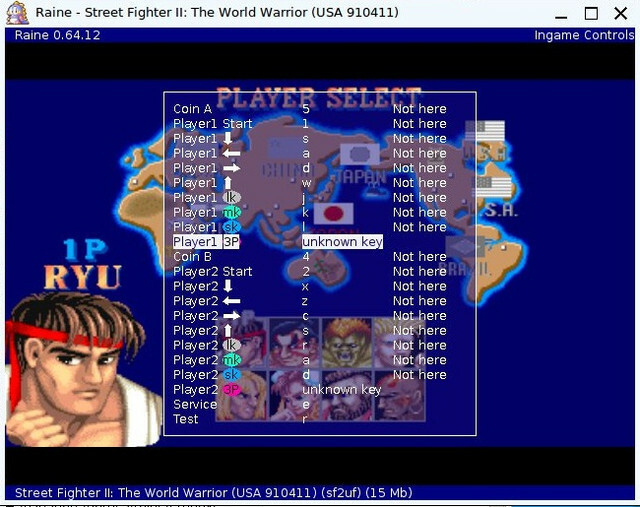 For the line where it says "unknown key", it just means that some not recognized key was saved in your configuration for some reason, just click on this line and choose a key / joy button when prompted to. But you are missing some inputs on this screen, that's what was fixed in 0.64.15 !